We produced ‘Tum Raider’ for the BBC’s Fiction Lab. 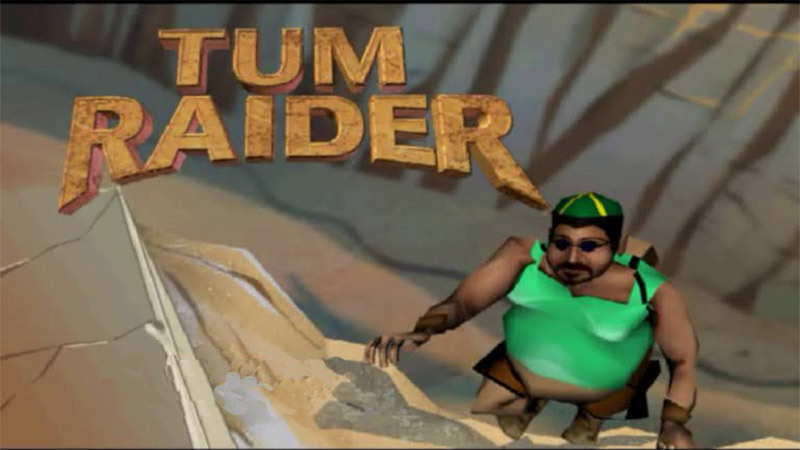 They contacted us in November 2001 with the idea for a short sketch about Lara Croft, Tomb Raider, taking the week off and being replaced by her lardy brother. One week later, we’d finished the movie. It’s still one of our favourite pieces.